The area now called Nubia extends along the Nile from south of Aswan to Dabba near the 4th Cataract. Nubia's name is first mentioned in Strabo's Geographia. He was a Greek who is thought to have visited Egypt in 29 BC. The name Nubia's origin is not certain but many agree that it originates from the Ancient Egyptian word nbu, meaning GOLD - Nubia had many gold mines which Egypt depended on for it's wealth. However the name does not appear in any Ancient Egyptian text, which refer to Nubia as Ta-Seti, meaning "Land of the Bow." Ancient Egyptians always distinguished Lower Nubia between the 1st and 2nd cataracts (which they named wawat) from the area south of the 2nd cataract which they named Kush. The Nubians, who settled and lived along the Nile, were distinct from the semi-nomadic tribes who lived in the eastern dessert (between the Nile and the Red Sea). 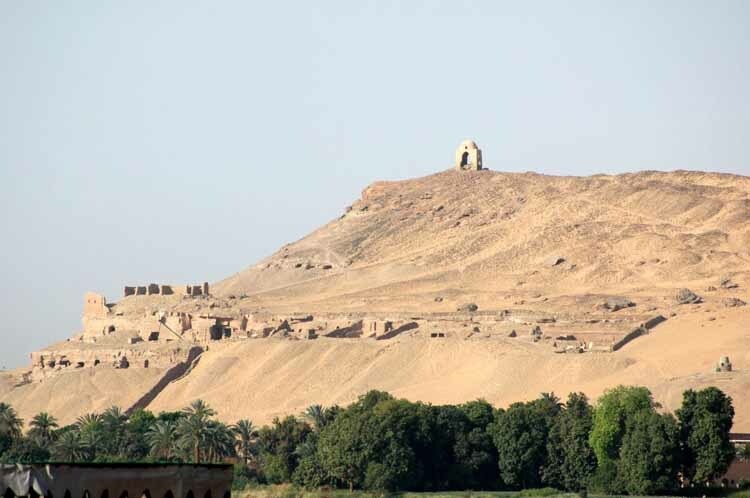 Owing to it's unique location Nubia was a major trade route through which exotic African goods reached Egypt. These included ebony, ivory, ostrich feathers and eggs and people. 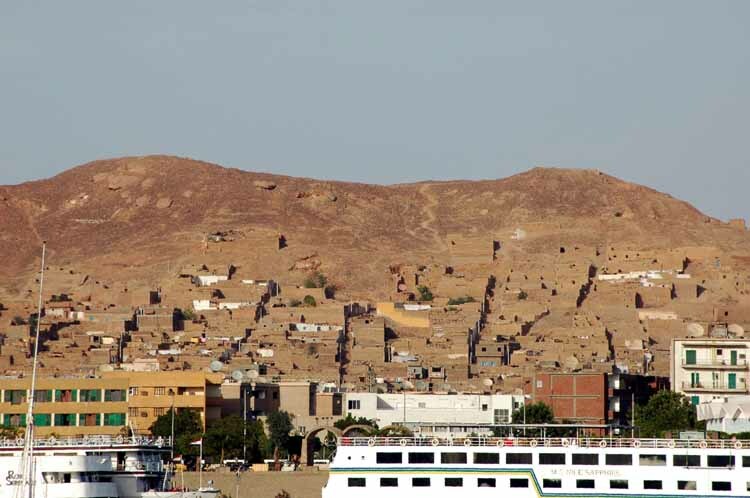 Nubia is rich in gold, copper and semi-precious stones (such as carnelian, jasper and amethyst).